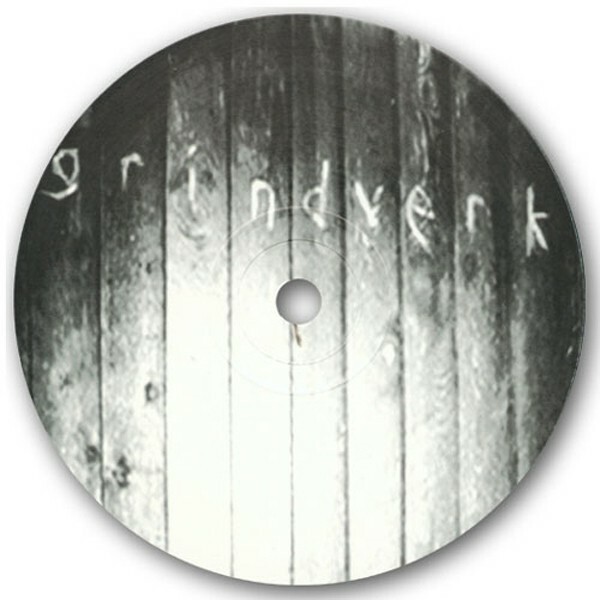 Released in early 1998, the 12" 'Gesundheit Von K' marked grindverk's debut release, and yet another new direction for the label. Grindverk comprises the Icelandic trio of Einar, Siggi and Hilmar. Two former members of The Sugarcubes, Einar and Hilmar had previously worked together in Frostbite, releasing one album 'The Second Coming', whilst Hilmar, or HOH, has also previously collaborated with Current93, and Psychic TV, and also composed the music on the 'Angels of the Universe' film soundtrack which was released on FatCat in September, 2001. This 12" showcased the band's diversity - ranging from the post industrial funk to sublime jazz-exotica and forming a space that draws on the soundworld of '80s funk/post-industrialism (PIL, Liquid Liquid, ACR, etc. ), yet rewiring it into a '90s context.